Remember the artificial oil shortages OPEC and the oil companies used to make money? Remember the artificial electricity shortages propagated by Enron to make money? Notice how new food shortages are suddenly been touted to make some extra money? Well, water's next. Someone's been buying up private water rights all over the world. The dried-up "rights" are cheaper in California and Nevada, of course, because of the, "drought." Who's buying up the water rights? The usual billionaire suspects, who are trying to push the price of water to $4 a gallon by privatizing what used to be public. So, if fake hurricanes are being propagated and data massaged, someone at NOAA is in on this, too. More witches to burn. Da-da's noticed this weather Pacific weather anomaly before, but not written about it till he had more evidence. You can see it al the time, now, on satellite maps: it looks like a "wall" out in the Pacific, which is hardly natural. Well, there's enough evidence to convict. Like Texas' drought before it, California's drought is looking purposely engineered, no longer the stuff of conspiracies. A famed physicist has even naively admitted to weather control to a nervous CBS news crew. So, it's not only possible, it's been done and is being done. The question now: Who controls the process? As usual, follow the money. Unfortunately, our agencies are now owned by these criminals, as are our leaders. What are 340 million of us to do against less than one million of them? Do the math. F*cking people over for money is officially over on this planet, especially when it comes to things necessary for simple human survival. Anyone caught going against this basic tenet is running out of time to do the right thing and come clean on Planet Earth. Don't forget: America is a sleeping giant. Da-da would say, 'wake the giant at your peril,' but it appears to be too late. The giant is waking up. And the giant is pissed-off. 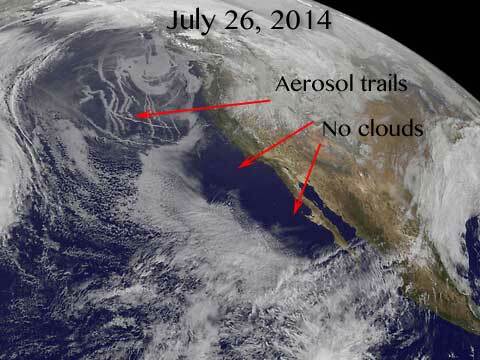 UPDATE: 8/27/14 -- NASA released a little piece on future use of aerosols in climate modeling. Check out the picture they ran with the article. Recognize the state? Looks like they've been using it as their pet test lab. What they're also not telling you is that the government is afraid of allowing radiation-laced rain fall on rich California farmland -- radiation from Fukushima, which is STILL dumping 8 gigabequerels of radiation into the Pacific every day (totals are nearing Chernobyl levels)... which begs the question: if they're afraid of it raining radiation in California, does that mean they DON'T care if it rains Pacific condensate on Washington or Oregon? They have pretty rich farmland, too. UPDATE 8-28-14: a large, well-developed tropical storm heading toward Southern California on 8/26-27 suddenly vanished overnight. 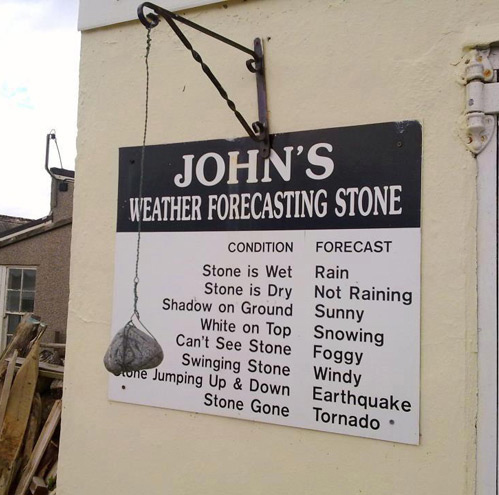 Would a meteorologist go on record here? Systems like that, that are near-hurricane force don't just vanish in six hours. UPDATE 10-23-15: Now we have NWS and NOAA personnel under an illegal govt gag order.